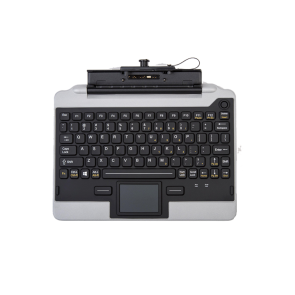 The SLK-79 has been designed for those mobile applications when a small-footprint keyboard may come in handy. 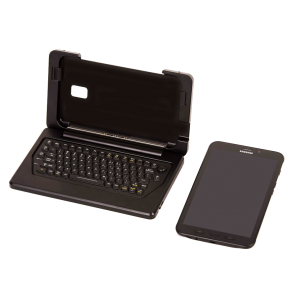 iKey’s new FZ-G1 attachable Jumpseat™ keyboard IK-PAN-FZG1-NB-V5 is the first product on the market designed for the Panasonic FZ-G1 tablet to snap into it, providing screen protection and a fully rugged, secure on-the-go keyboard. Improved latching mechanism. The IK-SAM-AT snap-on keyboard is designed exclusively for the Samsung Galaxy Tab Active2 Rugged Tablet. 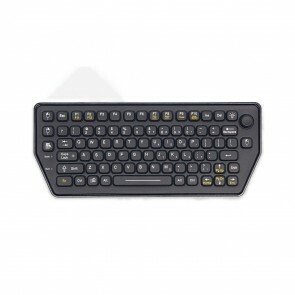 The keyboard is designed to meet military specifications and IP54 standards. The keyboard easily snaps into place, provides an excellent typing experience and includes a USB-C Charging port for charging the tablet. The Galaxy Tab Active2 Tablet and iKey Keyboard is ideal for military and public safety settings, and other industries where the Samsung Tab Active2 Tablet is used. The iKey IK-SAM-AT is available with Standard red backlighting or with Green, NVIS option. 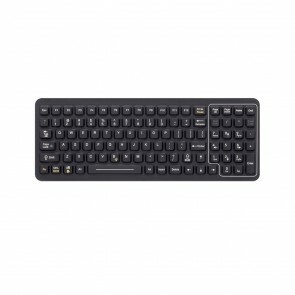 The IK-PAN-FZG1-C1-V5 iKey keyboard, specifically designed to attach to the Panasonic FZG1 Tablet.